Product Groups: Would you Allocate Winter Coats to Hawaii? 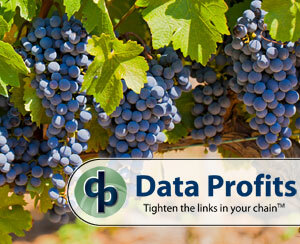 Data Profits > Blog > Resources > Blog > Product Groups: Would you Allocate Winter Coats to Hawaii? Got Groups? A major department store sent new winter coats every year to Hawaii. Product Groups and Product Ranking are the most utilized feature in legacy ERP systems. 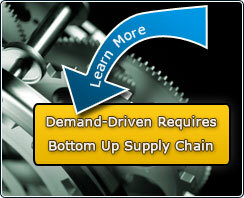 Think of the different ways data is grouped to use in the supply chain. Product Groups and Ranking reports are used for planning, allocation, and analysis reporting in most any retail, wholesale, or grocery line of business. Some businesses go further and use these same reports to run replenishment in Excel or other software, and other companies use product grouping and ranking for inventory optimization, price optimization, and exception management. Many Product Groups and Ranking Reports are wrong, really wrong. If you have a company rank report, then review your ‘Top 50’ product group report and find out how it was created. Who created the report and what are the criteria for an item to be in the Top 50? Is the ranking based on sales units or dollars, gross margin contribution or dollars, or inventory turnover? How often is the ranking updated? Is it static, waiting on someone to enter new results or only auto updated once a month, quarter, semi-annual, or yearly? Bias based on who created the ranking report can drive decisions downstream that may or may not achieve the business results you are looking for. I have been in retail for almost 20 years, and the most common thing I see is how consistently wrong product grouping or ranking reports are for inventory management. Most product groups are manually entered. They may be based on a report, but the results are manually input. Most ranking reports are based on total sales, but “what’s wrong,” you ask? When you sum together regular sales and promotional sales from the past, do you really want to rank and allocate your future consistently on the past? Even worse, what happens when the past includes a major event like a big storm or the competition has a going out of business sale? Finally, the biggest issue is that while most product grouping reports use analysis (results) based on total company, only a few include location. Of those reports that do include location, analysis is often limited to DCs. Why? Moore’s Law. The hardware available when your legacy software was written could not run fast enough and at a low enough cost to generate ‘sales and inventory’ totals broken out at a product location level. The short answer is this: technology limited the information that was available for decision making. The best the hardware could do at the time was to provide information at the group/product/DC/level. People may have depended upon less analytical methods to make decisions, whether that was hunches, experience, or artistic product based preferences. Various dimensions such as geographic, demographic, climate, customer attributes, and assortment play a big role in defining how to rank a group or cluster of stores. Now you start to understand why a major national department store chain was sending winter coats to their Hawaii stores year after year. Next week we’ll explore today’s solutions for these problems. Join us next week (or just subscribe to our blog) to learn how to manage your inventory more effectively.